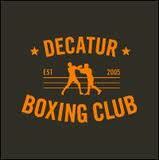 Women’s Boxing on Necessary Roughness featuring the Decatur Boxing Club! In response to some reader queries, the part of Talis “The Malice Lang” was played by actress Alyssa Diaz. Diaz is a working actress out of LA who has guest starred on such shows as Law and Order: LA, Lie to Me, Southland, CSI: NY and The Unit. She has also had roles in such films as Ben 10: Alien Swarm and will be appearing in the upcoming Red Dawn. Her boxing skills are genuine and she has also studied Muay Thai Kickboxing. Decatur Boxing Club’s very own Terri Moss aka The Boss worked with the producers of USA Network’s new show Necessary Roughness, to provide boxers, trainers and even some of her gym’s fitness clients for the upcoming August 24th episode, Forget Me Not. The episode, airing at 10:00 PM Eastern (9:00 pm Central) this coming Wednesday will feature the story of a successful female boxer who’s inexplicably losing fights and her memory along with an ongoing story line featuring Dr. Dani Santino (starring Callie Thorne) and football star “TK” (Mehcad Brooke). Any show that promotes female boxing is a MUST SEE, so enjoy!!! « Reminder! Great Women’s Boxing tonight, 8/20/11!